The original monome project did more than just create a novel piece of hardware for music. It established a design language for what essential digital interfaces might be, in the deceptively simple form of its light up grid of buttons. It’s not so interesting to just copy that hardware, then. More compelling are efforts to extract the elements of the design in ways that can be turned into new things. 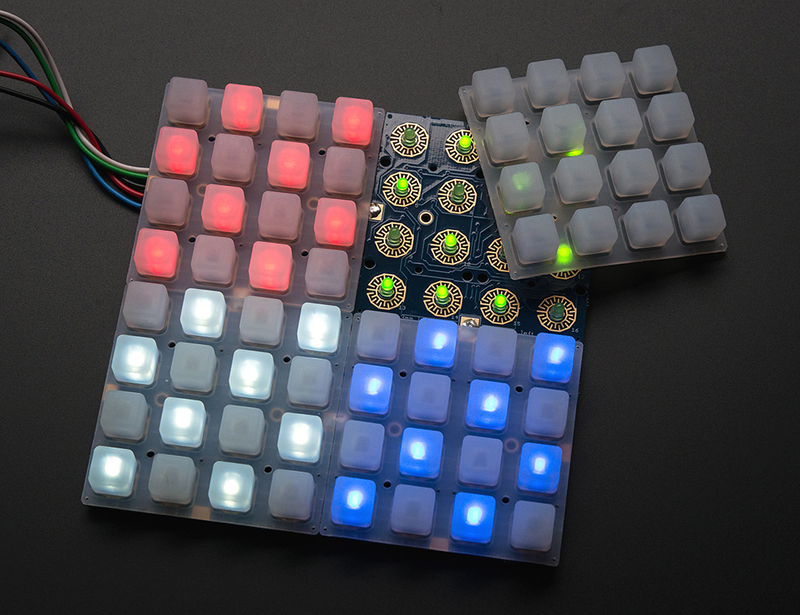 Adafruit has been slowly building up a nice set of building blocks clearly inspired by monome. Trellis is a system for making the grids component work – lighting the buttons and responding to keypresses in a big array. Add something like an Arduino as the “brains,” and you can add grids to your own hardware. In typical Adafruit fashion, everything is exquisitely well-documented and perfectly friendly even to those just dabbling in making their own stuff for the first time. OONTZ is a project that demonstrates how all these bits can come together. 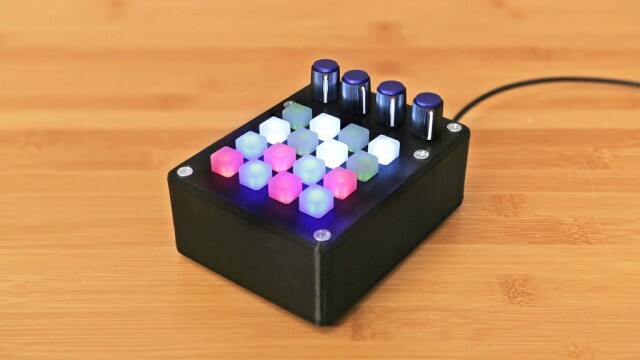 The notion is to build a MIDI Controller with basic parts and Arduino that can be used with computers, MIDI hardware, and iOS. Mini OONTZ goes one step further: 3D print the case, so you can have your grid, your pots, and MIDI in one box that’s ready for jamming. 3D printing here is a nice angle. 3D printers are just one solution among others, but clearly the case is a step that often stymies people making creative new hardware. And the tools for using and modifying files are getting better, too (just as the 3D printers gradually improve and become more available). 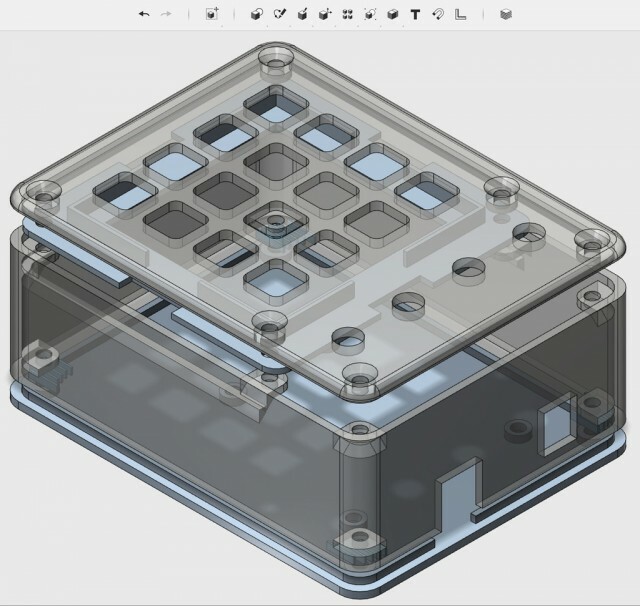 In the case of the Mini OONTZ, you get free and open downloadable files for the case, plus the ability to modify the files on Autodesk 123D. Once a design does work for more than a handful of people, it seems that conventional production remains the best solution for cases. 3D printing isn’t cost- or time- effective beyond one-off production. Wood and metal are options, too, not just plastic. But at the same time, it’s terrific to see Adafruit cover all the bases, from the bits that make the grids work to controllers as full-blown products with cases. The guts of the system: Trellis, when connected to an Arduino, does the work of wiring up and lighting up those buttons. And the shell: a 3D printed case makes this something you might actually use, and provides cutouts for connections (including MIDI), the keypad, and pots. And they’re not alone. The Bhoreal project has their own open source grid controller project, which we covered earlier. Bhoreal has some innovations of its own, including OSC over wireless connections and slim-line cases. And geography matters, too, when building communities: Bhoreal’s Barcelona location gives them some possibilities to work more closely with a European audience (including in languages other than English) and to try to begin to work with local suppliers. Because these are open projects, of course, the more resources the better – you can learn something from both projects. Please, let us know if you build a Mini Oontz or another project based on the Adafruit stuff; we’d love to see it. And if there’s something in the open source controller world that you’re lacking, that you’d want to see developed, definitely let us know that, too.